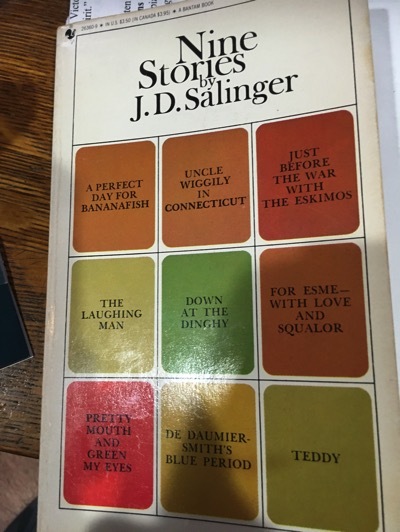 The most explicitly Buddhist of Salinger’s stories, the titular character here is a preternaturally wise child who is apparently some sort of Buddhist panjandrum who fell from grace and as a means of atonement was reincarnated into the body of an American (had he engaged in some somewhat less egregious behavior, his reincarnation would have been less of a punishment—perhaps some sort of insect). As with any piece of fiction whose primary purpose is didactic, the story falls somewhat flat. I imagine that there are those who would read the conclusion in which Teddy meets his self-predicted death as a satisfying end to the story, but it felt too on the nose for me.